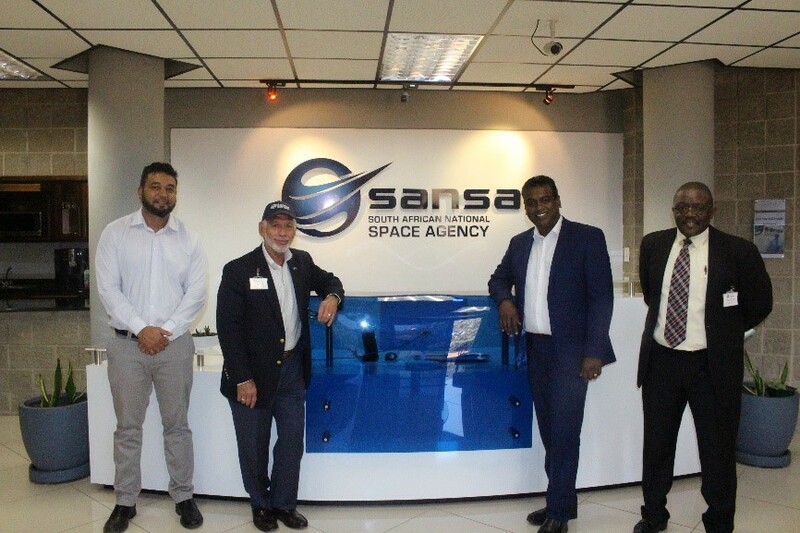 On 15 November 2018, SANSA hosted General Charles Bolden, the United States Science Envoy and former NASA Administrator, at the ground station in Hartebeeshoek. 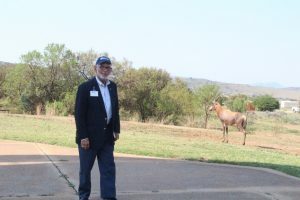 The visit was arranged by the Embassy of the United States of America in Pretoria as part of General Bolden’s visit to South Africa. General Bolden was welcomed to SANSA Space Operations by the CEO of SANSA, Dr Val Munsami and Mr Yunus Bhayat – SANSA Space Operations’ Operations Manager. He congratulated SANSA on winning the bid to host the 16th International Conference on Space Operations (SpaceOps 2020) that will be held on the 18 – 22 May 2020 in Cape Town. He was also impressed by the orientation and tour. SANSA’s Space Operations facility is not a game farm, but has a number of Blesbok grazing onsite. As usual the Blesbok make sure to be in sight when we have important visitors for a photo opportunity. General Bolden appreciated that and asked for a picture with the Blesbok to show to his grandchildren. 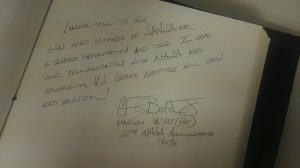 “It was a great pleasure to personally meet General Bolden” says Gladys Magagula – Space Operations Project Manager. 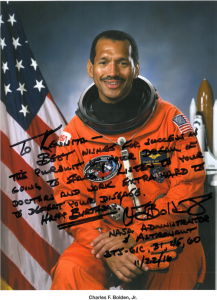 Gladys’ previous encounter with General Bolden was via email communication when he and a few other NASA Astronauts agreed to send an autographed photo as well as a video message to a child brought by the Reach for a Dream Foundation whom SANSA hosted in 2016 as part of the Outreach Activities.